Casio Pro Trek Solar Triple Sensor Watch | BUDK.com - Knives & Swords At The Lowest Prices! Whether you’re in the air, on the sea or on land, the Casio Pro Trek Solar Triple Sensor Watch is your go-to timepiece for all of your outdoor adventures. 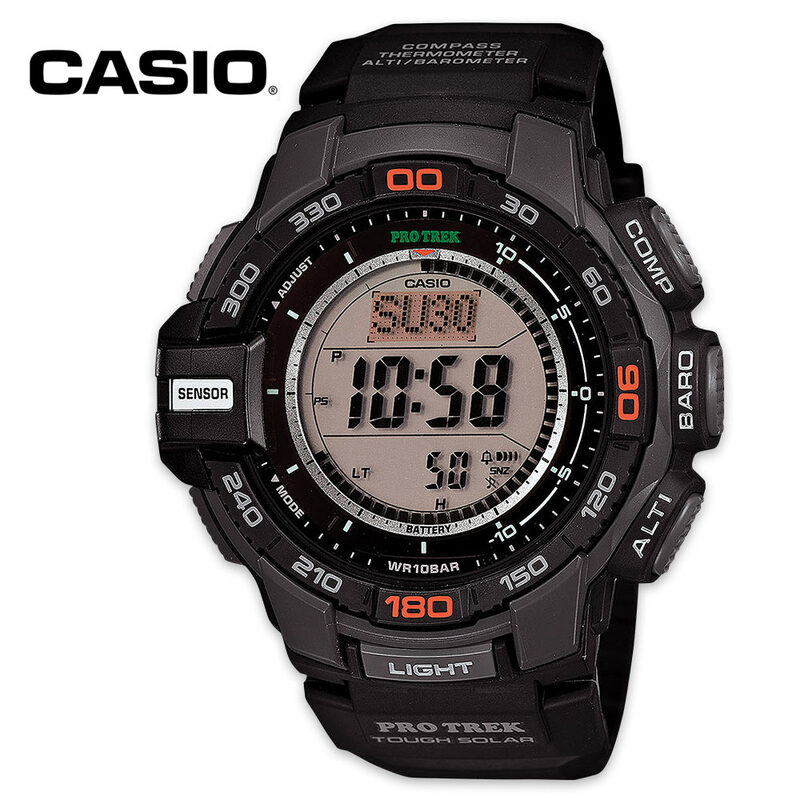 It runs on tough solar power and has a full auto LED super illuminator backlight with afterglow. It is water resistant up to 100 meters and also low temperature resistant. Its features also include a digital compass, sunrise/sunset data, altimeter, barometer, thermometer, and world time for 48 cities. It has four daily alarms and one snooze alarm, plus, a stopwatch and countdown timer.